1st - Unless acted on by a force, an object with remain at rest or at a constant velocity. 3rd - When one body exerts a force on a second body, the second body exerts a force of equal magnitude and opposite direction on the first. You will be required to use F = m·a along with the equations seen in unit 6. The only extra information required to calculate the force would be the mass of the object. A 1500 kg car starts from a standstill and accelerates to a velocity of 20 m/s in 10 s. It then hits a concrete wall. What is the force produced by this impact? This relates the force of gravity (F), the universal gravitational constant (G), the masses of the 2 objects (m1 and m2 in kg) and the distance between them (d). 1. Dawn wants to make as much money as possible by selling gold. Her plan involves buying gold by the weight at one altitude and then selling it at another altitude at the same price per weight. Should Dawn buy at a high altitude and sell at a low altitude or vice versa? 2. 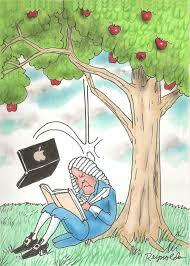 Suppose that two objects attract each other with a gravitational force of 16 units. If the distance between the two objects is doubled, what is the new force of attraction between the two objects? 3. Suppose that two objects attract each other with a gravitational force of 16 units. If the distance between the two objects is reduced in half, then what is the new force of attraction between the two objects? 4. Suppose that two objects attract each other with a gravitational force of 16 units. If the mass of both objects was doubled, and if the distance between the objects is also doubled, then what would be the new force of attraction between the two objects? When comparing mass and size data for the planets Earth and Jupiter, it is observed that Jupiter is about 300 times more massive than Earth. One might quickly conclude that an object on the surface of Jupiter would weigh 300 times more than on the surface of the Earth. For instance, one might expect a person who weighs 500 N on Earth would weigh 150000 N on thesurface of Jupiter. Yet this is not the case. In fact, a 500-N person on Earth weighs about 1500 N on the surface of Jupiter. Explain how this can be. ANSWERS: 1. Buy at high altitudes and sell at low altitudes. 2. 4 units. 3. 64 units. 4. 16 units. As the units for g are in N/kg, this shows that the acceleration should be the same regardless of the mass (because for every kg of mass, there is a force of 1 N). This can be seen in the videos below. An object resting upon a surface is receiving a supporting force with a perpendicular angle to the inclination of the plane. Where µ is the friction coefficient between the 2 materials. The velocity vector of an object moving in a circle is always in the direction of the tangent. 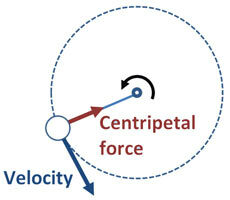 This means that in circular motion, the velocity vector is constantly changing direction. Therefore a force must be acting on it towards the centre of the circle. We call this centripetal force​. a. Mr Polko standing in the polideportivo. b. An atom of iron in the direct centre of the Earth. c. The International Space Station. d. Mr Canning going down a slide. Copy a snapshot of this GIF to your PCD and add arrows to the car (in 2 different positions) showing the 4 forces above. 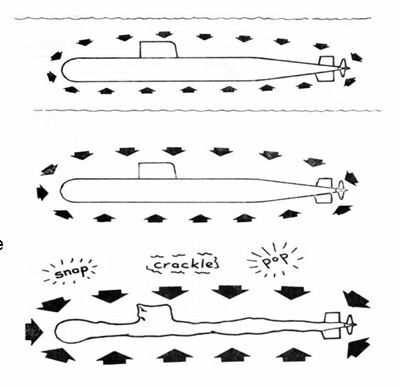 Applying a force to an object can cause deformation. The amount of deformation depend on both the magnitude of the force and the surface area upon which it is applied. ai. What is the pressure produced by a force of 15000 N acting on an area of 5 m2. c. A cylindrical tank with a compressible lid has a cross-sectional area of 40 cm2. What pressure is produced when a mass of 10 kg is placed on top. In a vertical body of water, the internal pressure is due to the downwards force caused by the mass of water above it. So at a greater depth, there is more water above, therefore a greater downwards force and a high pressure. This is why a bottle of water with 3 holes in it will project water at 3 different distances (right). Explain what the diagram (left) is showing. Calculate the pressure exercised by water on a submarine at a depth of 300 m. Data: The density of sea water, d = 1030 kg/m3. Due to the spacial particle arrangement of gases, they are easily compressed. As liquid particles are already touching each other, the are not easily compressed. ​This means that in an enclosed system, pressure is exerted equally and in all directions by a liquid. This property if liquids can be used to explain its use in hydraulic (liquid) systems. 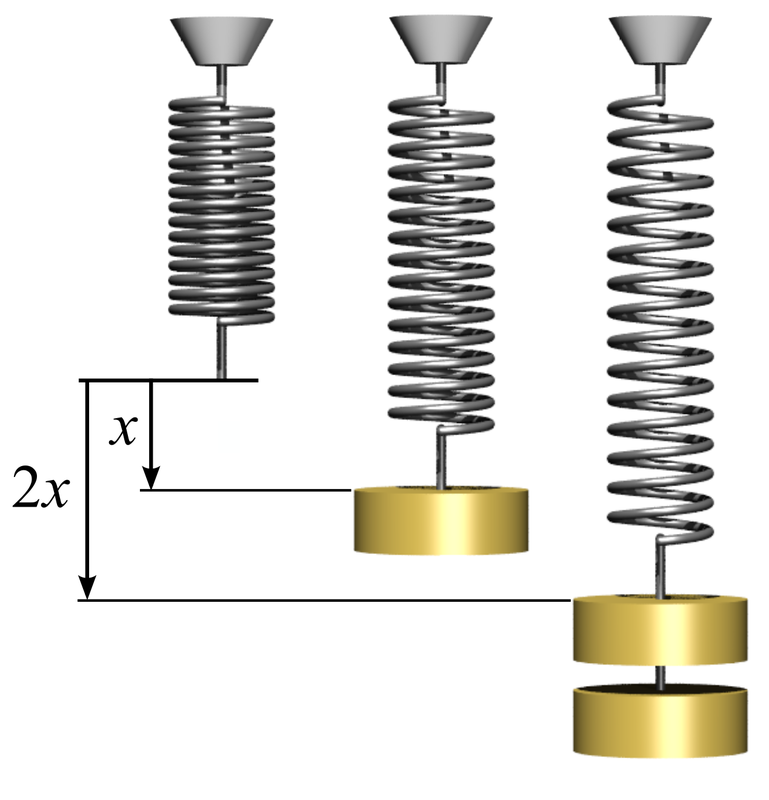 A force used on small surface area at one end of the system can be transferred to make a large force on a large surface area. a. Show how the 30 N force on the left piston creates a 150 N force on the right one? b. What force on the left would be required to produced a force of 225 N on the right? c. If an elephant with a mass of 2 tonnes stood on the right-hand side, what mass (kg) would be the minimum required on the left-hand side, to lift the elephant? Atmospheric pressure​ - The pressure exerted by the atmosphere upon a body in it. The first measurements of atmospheric pressure by Evangelista Torricelli were in units of mm Hg because of the experiment carried out. In it, a 1 m (1000 mm) was filled with mercury an inverted into a glass trough. 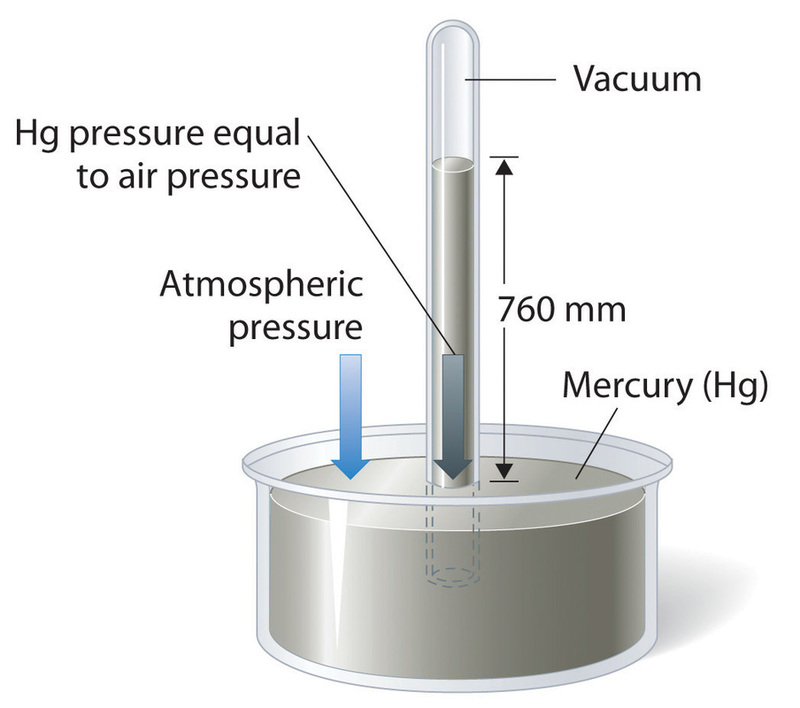 The system reached equilibrium when the height of Hg dropped to 760 mm Hg as the pressure of the vertical Hg became equal to the pressure of the atmospheric pressure. ​This experiment can be used to calculate atmospheric pressure in Pa and atm. ​a. Why might is this method of measuring pressure rarely used nowadays? b. Suggest what would be different if this experiment was carried out at the top of Mt Everest. Archimedes discovered the idea that the ability of an object to float or sink in water id dependent on the amount of water displaced by that object. If the weight of the water displaced is more that that of the object, then it floats. If the weight of water is less, then the object will sink. If the 2 weights are equal, then the object will be completely submerged but neither sink nor float (right). If the force upwards is greater than the force downwards then the object will float. 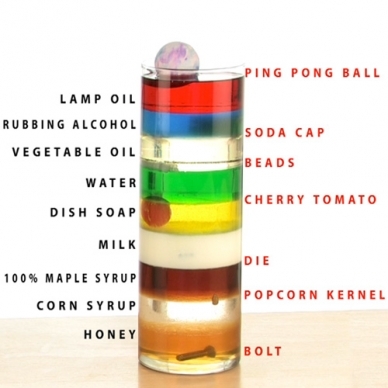 A complex demonstration (left) shows immiscible liquids of different densities in layers. 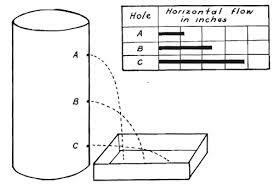 When different objects are dropped down the column, they stop sinking when then mass of the liquid displaced is more than that of the object. ​a. An object of unknown mass is place in a swimming pool full of milk. If the density of the milk is 1040 kg/m3 and the thrust created by the milk is 5096 N, what is the volume of the object? And in cm3? b. A child gets into a pool, dislodging water with a weight of 300 N. What is the thrust receiving? What is the mass of the boy? c. Why might the same boat sink further when travelling in a river compare to when it is travelling at sea? A. This is the cruise ship "Harmony of the Seas". Use to data below to calculate the minimum volume of the hull below the waterline that the ship must have. 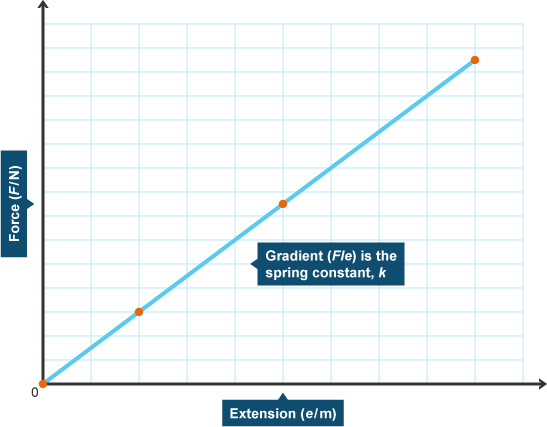 "When an elastic material is stretched, the extension (x) is directly proportional to the force (F) applied." As straight lines have the general formula: y = mx ​( where m is the gradient), The gradient from the graph will be the value of k​.